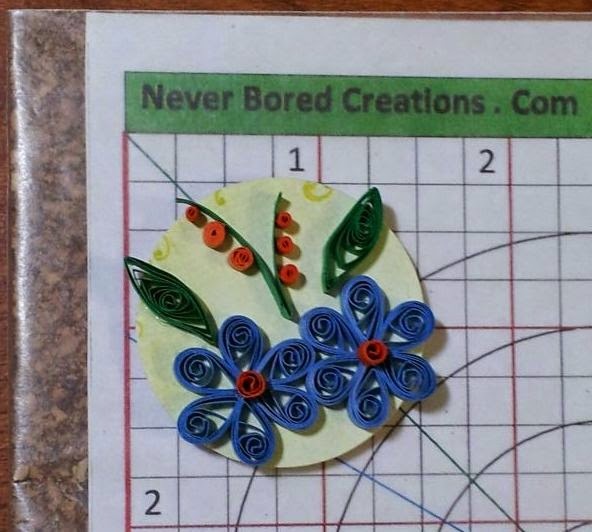 Never Bored Creations: Quilling for the Home . 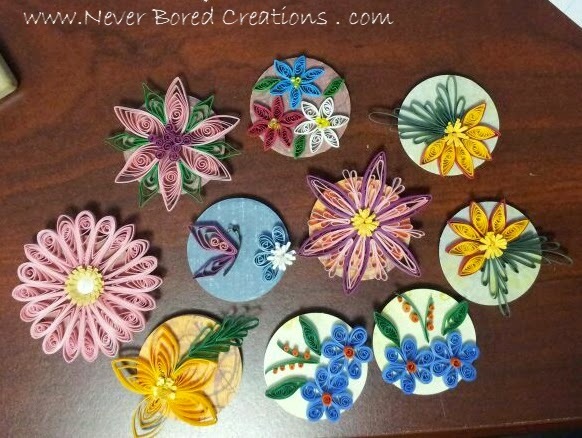 . .
Quilling for the Home . . . I love making fridge art! Just something about putting my work out in the open and still being useful. 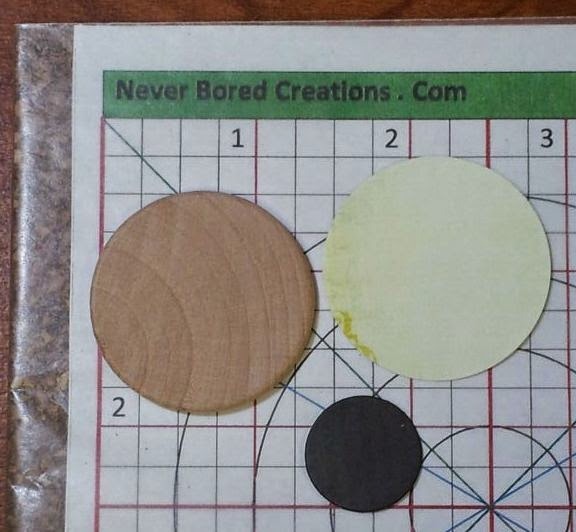 With this project I used 1 1/2 inch wood discs; scrapbook paper; and a 3/4 inch round magnet. 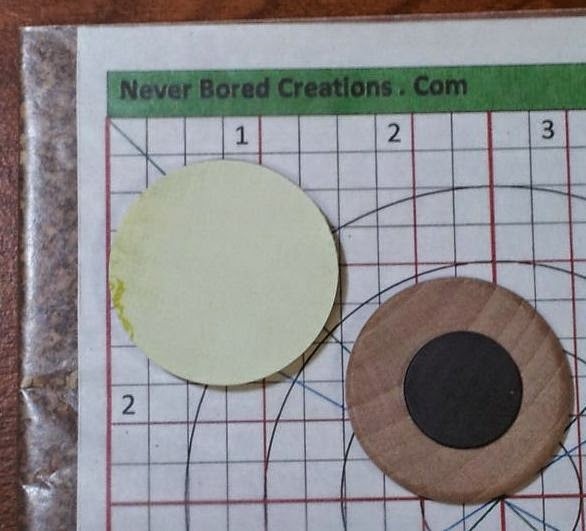 I glued the decorative scrapbook paper to one side and the small, round magnet to the other side. Then I quilled my design on the scrapbook paper. Tah dah!!! Hint: When making fridge art - be sure your glue is down the center of the shape. If you only add glue to the edges or just the middle the warm heat from the fridge will cause the paper to wilt and eventually you could have areas in your shape kind of dangling. I wish I had a picture of this to share, but I saw it happen to a card I gave a family member. I was too embarrassed to point it out and ask for a picture! Until next time - Here's to never being bored!!! "Spreading the joy of paper filigree one twirl at a time!"